I wonder what I’ll be when I grow up!! I was talking with my sister the other day. We were talking about the different positions on birth control. I mentioned to her about a video I had seen recently on the various stages of development of the fetus. 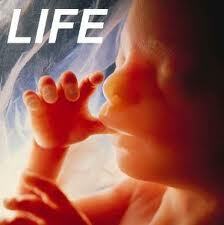 I told her how I could not understand how people could have the fetus removed without a twinge to their conscience. She then spoke about farmers and their expectations. “When a seed is planted in the ground by the farmer,”, she said, “he does so because he wants something specific to grow.” She continued, “The seeds for the tomatoes, and peppers and corn are put in their respective plots so that each plot contains only one variety of vegetable. The farmer knows what will be grown, and plants the seeds accordingly.” In short, the farmer knows what the end result will be when the seed and the ground and the proper care all come together. When a couple plant a seed, they too, know what will happen if that seed, and the egg and proper care are given. They KNOW that a human being has begun to form. The moment that seed has succeeded to impregnate the egg, the struggle to maintain life has begun. But we are in a society, today, that doesn’t want any loose ends. Today’s society clamors for ease, pleasure, satisfying our wants and desires. But what about the results of our actions? Let’s close our eyes. Just, look the other way. Hey, what the heck, it’s not human. It’s just a microscopic thing, that can’t talk, or walk, or survive on its own. We aren’t killing anybody, are we? YES, most assuredly, that is what is being done. The infant at 1 day old, can’t talk or walk or survive on its own. It is just as dependent on the life givers as the fertilized egg, at the beginning of life. The infant and the fertilized egg are both waiting to be held by mom and dad. The holding of the one will happen much sooner than the other. Why do we want to come to this conclusion that the egg isn’t really human? Why? Because it makes it easier to terminate the life, if we think of it as a vegetable as opposed to a human being. I didn’t want the child, I just wanted the pleasure. That is the sentiment that is being shouted out loud and clear. The hell with the responsibility, which is demanded. I ask you to view the video (listed below) and tell me if the fetus is just another vegetable? If you feel, as I do, then all of us should be storming our state senator and representatives. We should be clamoring for a law that protects the innocent, a law that declares that there is life present, at the moment of impregnation. The life is a human life, it is not a tomato, not a pepper. The seed will take care of itself, and grow up to be what it is supposed to be, IF WE LET IT. To view the video, go here: http://www.truthbooth.org/viewvideo.asp. -1 And when you arrive, click on the small white triangle in the middle of the screen. This will start it to play. To help those who are struggling with the decision of to let the baby live, or to terminate its existence, pray Our Lady’s rosary for them.